Great Harbour Cay is the largest island in the Berry island chain and is also home to the largest population of residents (around 1,000). Mainly an area for anchorage at several different points around its perimeter, Great Harbour Cay also has a large marina in the central portion of the island, which offers good protection during storms or hurricanes. The image above is a view from the southeast looking northwest over Great Harbour Cay. 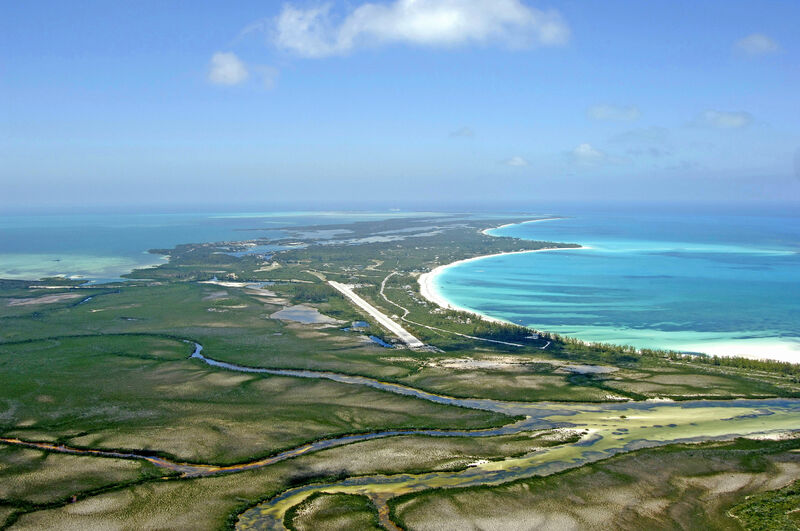 On the extreme northern end of Great Harbour Cay are several small anchorage areas between a triangular area formed by Great Stirrup Cay, Lignumvitae Cay and Great Harbour Cay itself. One anchorage is located at the northern and of Lignumvitae Cay in six to eight feet of water. Two more can be found just east of Goat Cay a little farther north with similar depths, and even farther north behind the south shore of Great Stirrup Cay is the best protected area in this northern section with six- to nine-foot depths in a protected cove. There is an additional anchorage just north of Great Stirrup Cay, but it is is susceptible to surge from incoming waves. All of these anchorages are prone to exposure to swift currents, so a two-anchor set is recommended. The largest and most popular anchorage is found to the south of Great and Bullock harbours off the central portion of the island to the west. Although the bottom here is covered with thick green grass, it is relatively well protected in all but the strongest northers. If the wind pipes up, or a hurricane threatens, dockage is available in the harbor to the east at Great Harbour Cay Marina, which has a variety of services. Depths in the harbour range from eight to nine feet, but there is no anchoring room outside of the channel. Approach to Great Harbour Cay Marina is from the west starting at waypoint 25 46.092N 77 56.629W. Once you have reached this point, set a course of 108 degrees true for about 4.8 miles until you reach the opening of the harbor, making sure to follow the placed buoys along the way. Depths from the aforementioned waypoint to the opening of the harbor range from six to 10 feet. Once you have the opening in sight, follow the buoys in and then make a gradual turn to starboard until you see the marina. Follow buoys 16, 18, and 19 until you reach the marina basin. 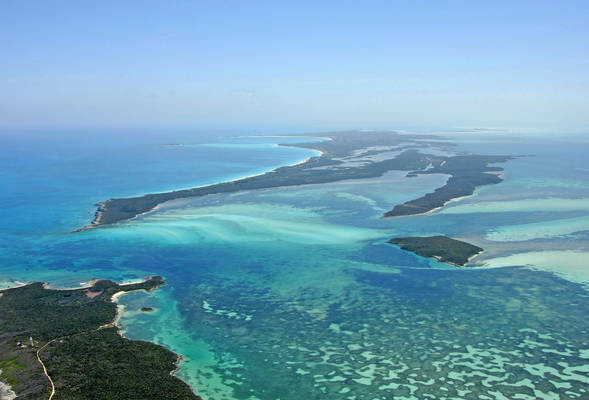 Like many of the Bahamas Islands, the Berry Island Chain, and specifically, Great Harbour Cay are famous for the extensive bone fishing flats in and around the islands. For those without piscatory knowledge, the bonefish is a strong, powerful, and sleek white gamefish that feeds on the open flats and is extremely wary and hard to catch. Once hooked, these strong fish make a run for it and are exciting to catch. The most popular method for catching these fish is with a fly rod, and many local guides will take you to the best spots. Diving is also a popular activity, and many local dive boats out of Great Harbour Cay will put you over the best reefs and troughs for exploration. If you prefer to take some time ashore, many people enjoy bird watching and identification while combing the beautiful white sand beaches for shells. For a detailed calendar of events for the area, see our "Helpful Links" section below. Great Harbour Cay Airport is located southeast of Bullock Harbor, but unfortunately only private chartered service (quite expensive) is available to and from the island from here. There are rumors of daily service to and from Nassau in the future, but check with your travel agent for details. No reviews yet! 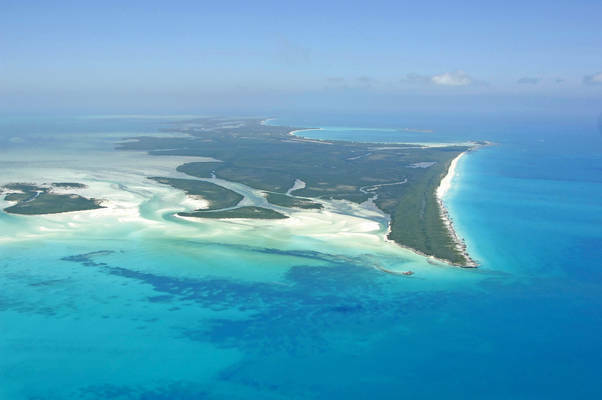 Be the first to write a review of Great Harbour Cay.